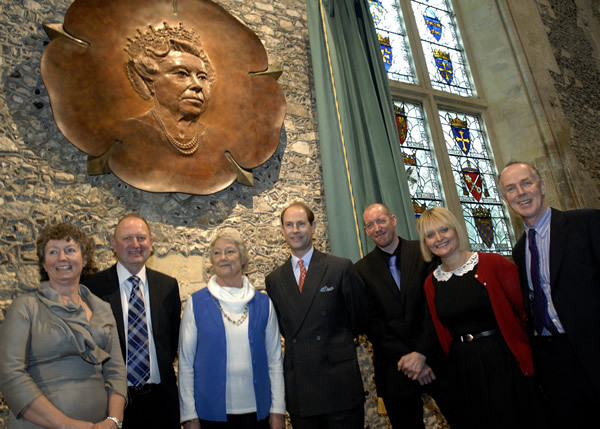 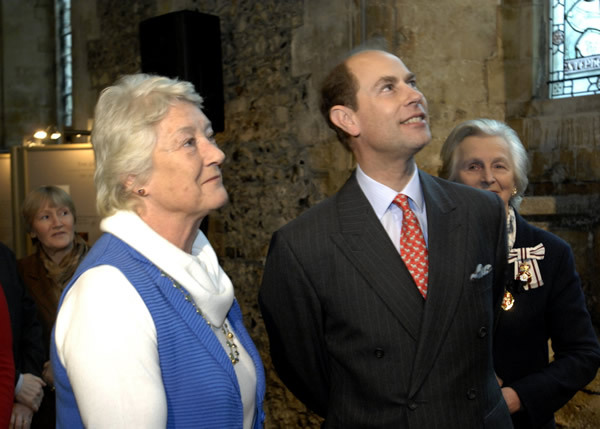 His Royal Highness The Earl of Wessex, unveiled a specially commissioned bronze in honour of the Queen’s Diamond Jubilee in Winchester on Tuesday January 29. 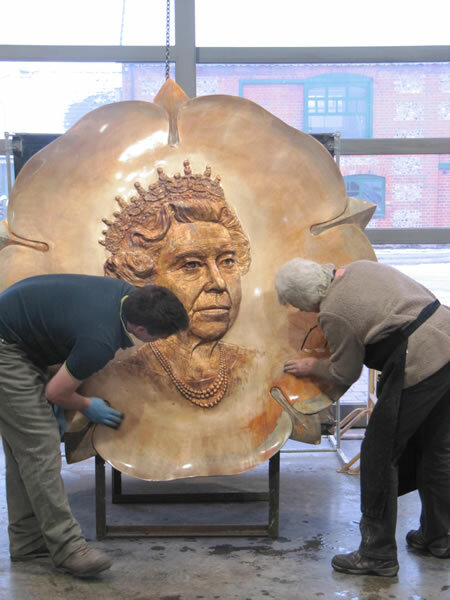 The Lord-Lieutenant of Hampshire, Dame Mary Fagan DCVO JP, commissioned the bronze of Her Majesty The Queen for future generations to enjoy. 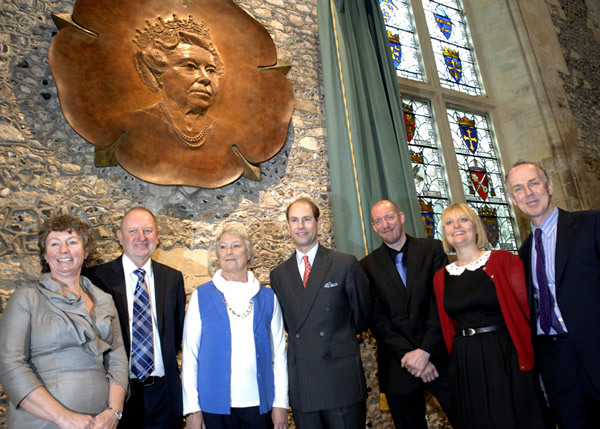 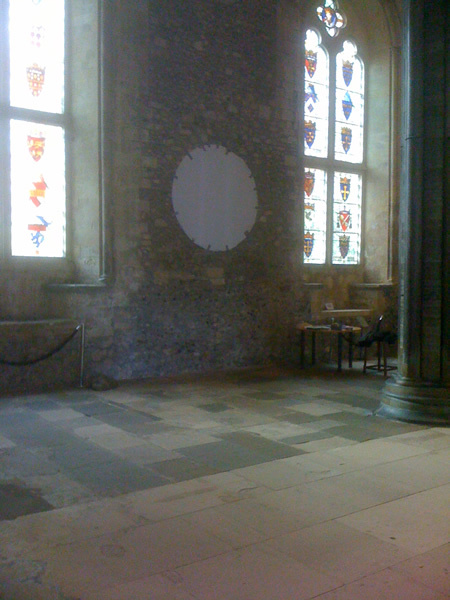 It was installed in the Great Hall in Winchester, following the example that took place in 1983 when the famous Royal Wedding Gates were commissioned for the wedding of The Prince and Princess of Wales. 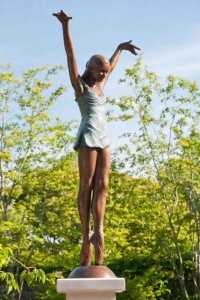 The bronze sculpture is six feet in diameter. 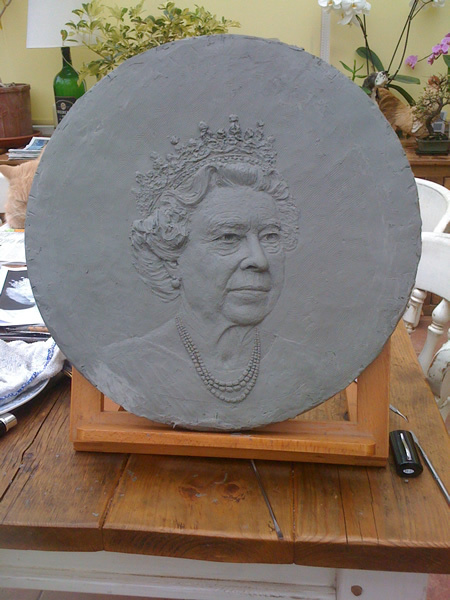 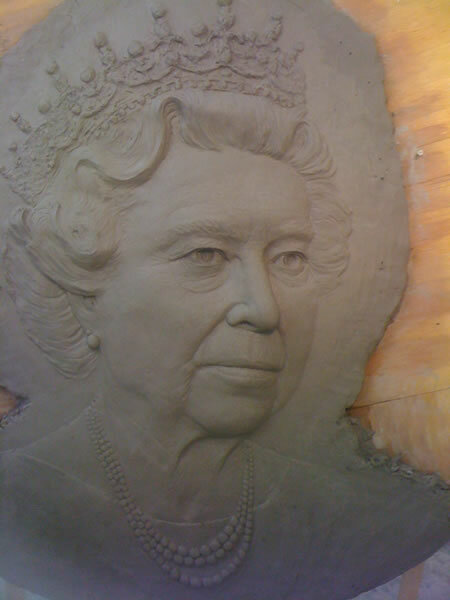 The bas-relief portrait projects approximately nine inches from the background and The Queen is shown wearing a necklace and diamond tiara. 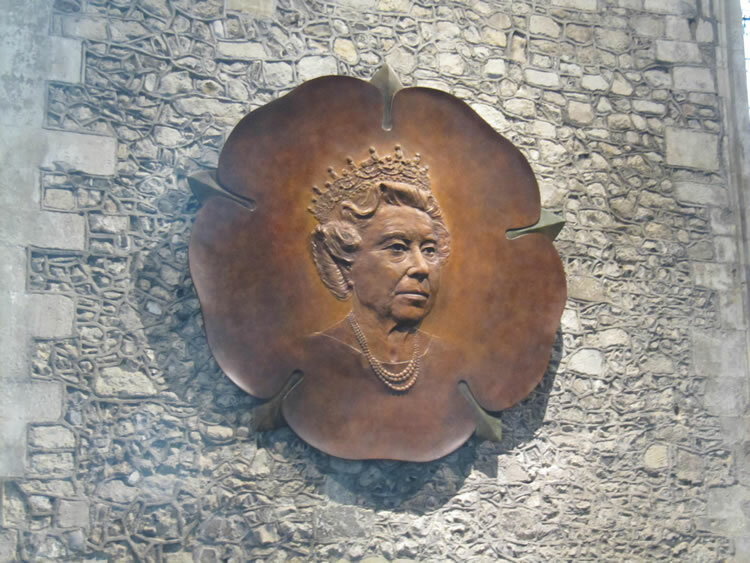 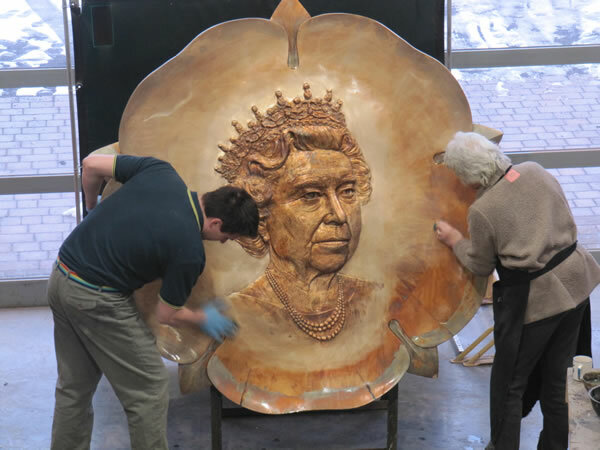 The surround for the bronze is a representation of the Hampshire Rose which provides an informal frame to Her Majesty’s face. 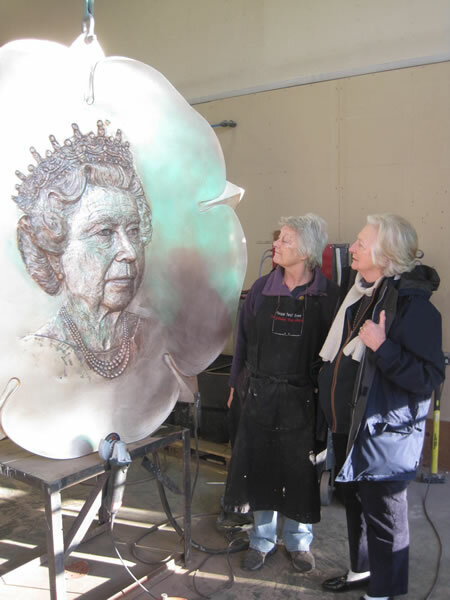 The plans for the bronze received approval from Buckingham Palace, and Dame Mary asked Vivien Mallock to design and sculpt it. 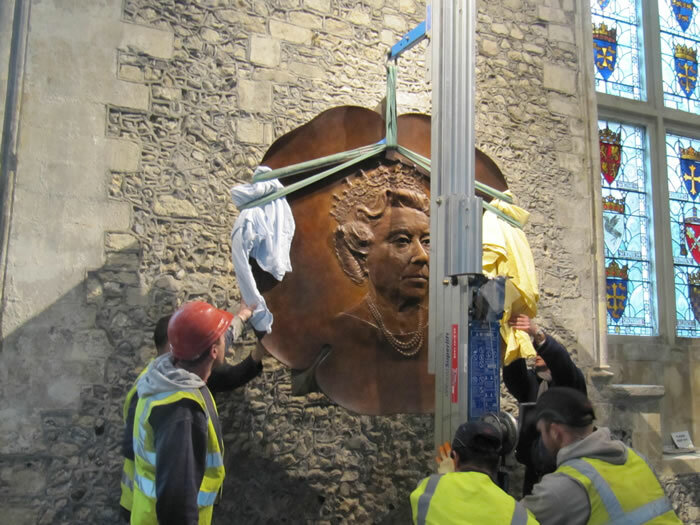 Vivien Mallock has completed a number of public sculptures in Hampshire. 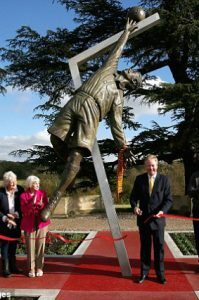 There are three in Portsmouth: Field Marshal Montgomery and the Soldier of WW11 outside the D Day Museum in Southsea and the Golden Jubilee sculpture unveiled by HM The Queen in Gunwharf Keys. 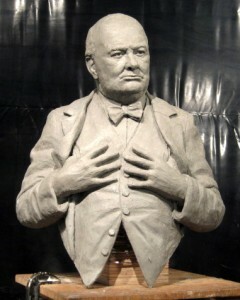 Her forthcoming commissions include a bust of Sir Winston Churchill for the Pentagon, a statue of Sir Edward Elgar for Hampstead, Samuel Franklin Cody, the first man to fly a powered aircraft in England, for installation in Farnborough, and a giant golden eagle as the Army Air Corps memorial in the Memorial Arboretum in Staffordshire. 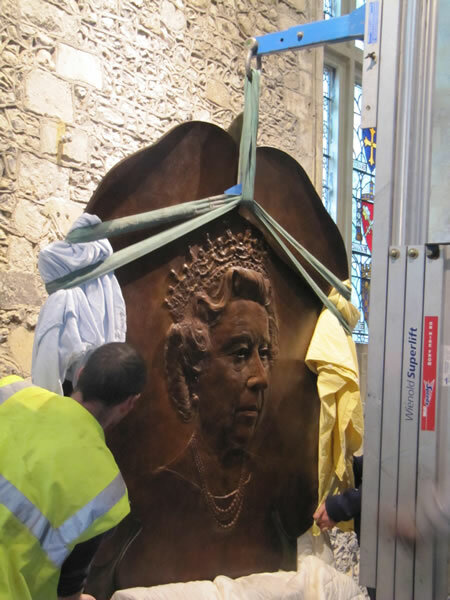 The bronze has been paid for largely through public subscription with donations from many groups and individuals across the county, together with support from Hampshire County Council and Winchester City Council.